Charlie Miller is a Greenville South Carolina based pianist, arranger, composer, and producer. Charlie is also the Musical Director for the Greenville Little Theater, and Instrumental Music Director for Berea First Baptist Church in Greenville. Some of the clients Charlie has written and produced music for include the U.S. Department of Defense, Delta Airlines, NBC, Sony Records, MCI, and Verizon. Some of the Christian Artists and musicians Charlie has worked with include Bill and Gloria Gaither, Don Moen, Lari Goss, The Martins, and Michael English. 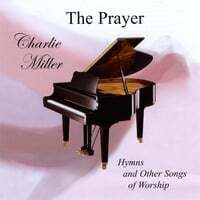 RadioIndy is pleased to present Charlie Miller with a GrIndie Award for the CD "The Prayer"
"The Prayer" Reviewed by RadioIndy.com! "The Prayer" is a contemporary Christian solo piano album featuring heartfelt compositions of praise arranged and performed by Charlie Miller. Charlie is a well-accredited musical instructor and accompanist who can be linked to big names in the religious music world. This album goes beyond the experience of beautiful piano lines and progressions as the tracks seem to exude an uplifting and heartwarming energy. The sound quality is impeccable, as you will experience every auditory detail and feel as though it's just you, Charlie, and a piano. Highlights include the opener, "Tell Me The Stories Of Jesus," which begins with a delicate line and evolves into a beautiful and inspiring progression. "He's Been Faithful" features some beautiful tinkling of the ivories and weighs back and forth between delicateness and power. "Pie Jesu" takes the mood in a slightly different direction and is equally as beautiful in its intent of holy thankfulness. With “The Prayer,” Charlie Miller has created an inspiring instrumental praise and worship album great for those looking for a musical medium for spirituality. If you enjoy beautiful jazz-rooted spiritual piano compositions, this album will be a great addition.